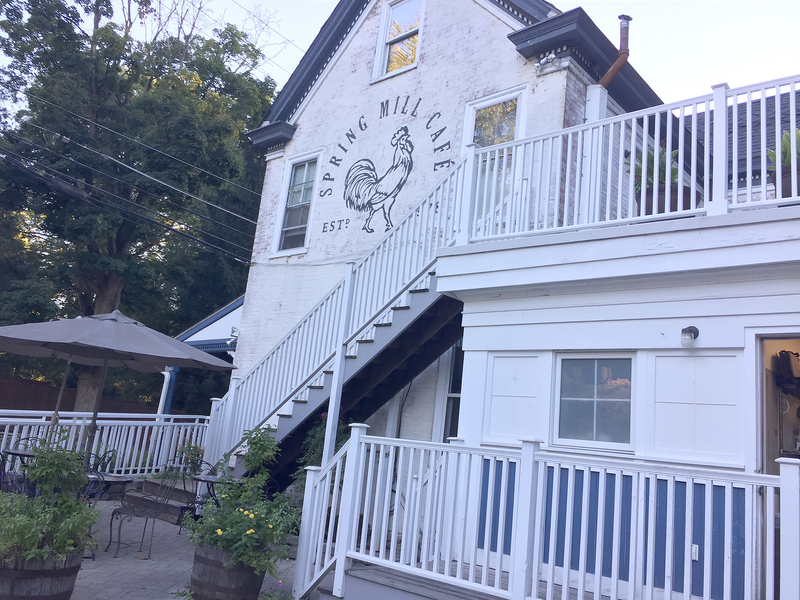 The Spring Mill Café has been serving French country fare since 1978, a BYO that serves fabulous lunch, dinner and Sunday brunch. The historic property features the original Spring Mill general store, and the picturesque converted farmhouse. When the weather is nice, guests can dine outdoors adjacent the gardens, either on the patio or on one of the porches. They use local farmers and the Lancaster Farm Fresh Coop as much as possible, and the menus change to reflect the seasons. Michele Haines established the cafe wanting to share the dishes her mother, grandmother, and great grandmother passed down. Specialties include hearty patés, traditional boeuf bourguignon, rabbit stew, cassoulet and fresh farm vegetables. Desserts include classics like chocolate mousse and tarte tatin. 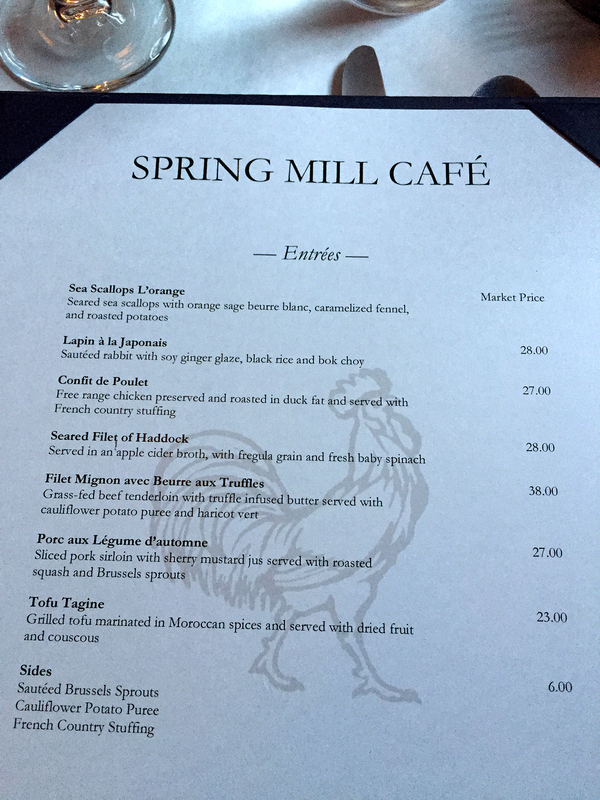 The Spring Mill Café’s relaxed and casual atmosphere invites you to enjoy the company and the food. We have dined here as a couple, and as a family, on numerous occasions, but many years had lapsed since our last visit. 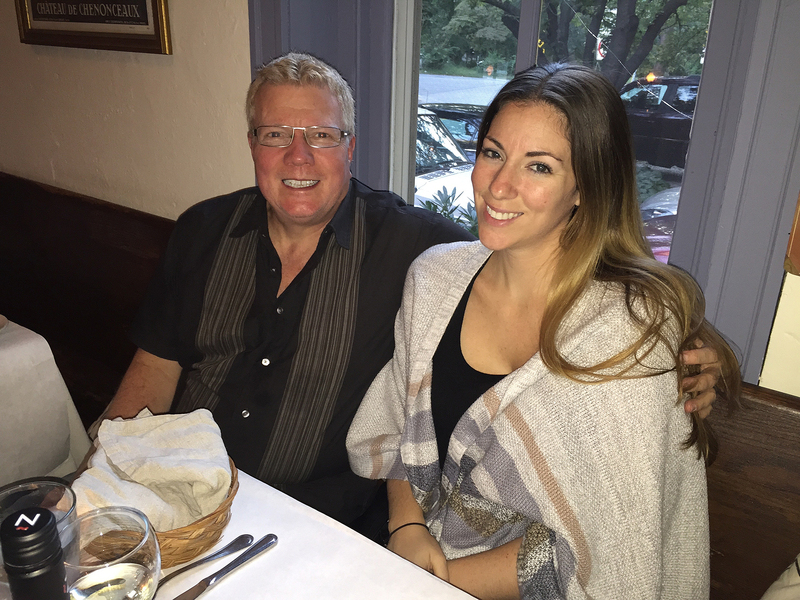 So with daughter Julia, affectionately known as “Juwa” to her dad and me, in for a short visit from her new digs in the Los Angeles area, we figured it was time to put in another appearance. Our friendly and knowledgeable waitress informed us that tonight’s menu had just been updated (which is done about six times per year), so with a bottle of red and a bottle of white, we sipped our wine while contemplating dinner choices. 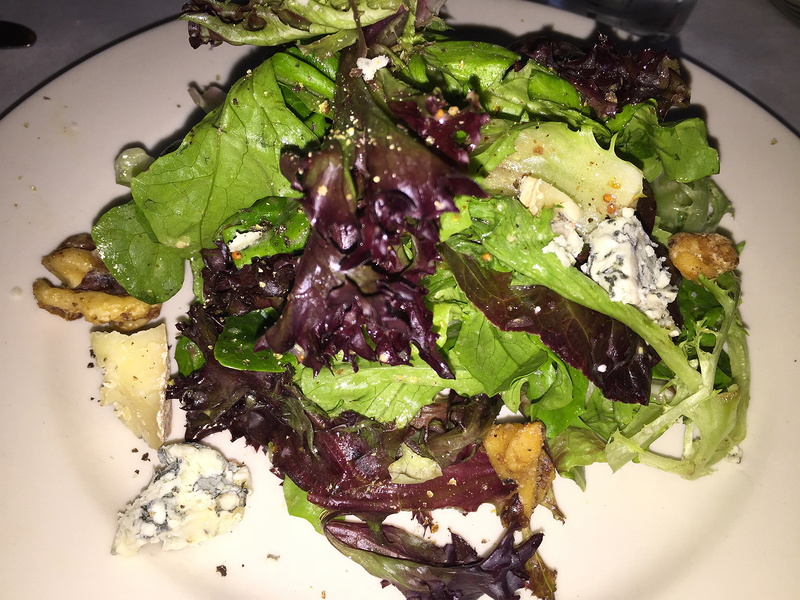 For starters, Julia and I both selected a simple House Salad of lightly dressed greens, walnuts and yummy blue cheese crumbles; while Russ ordered the Roasted Beet Salad on greens with orange sections and topped with a hunk of ricotta cheese resembling a tortellini. 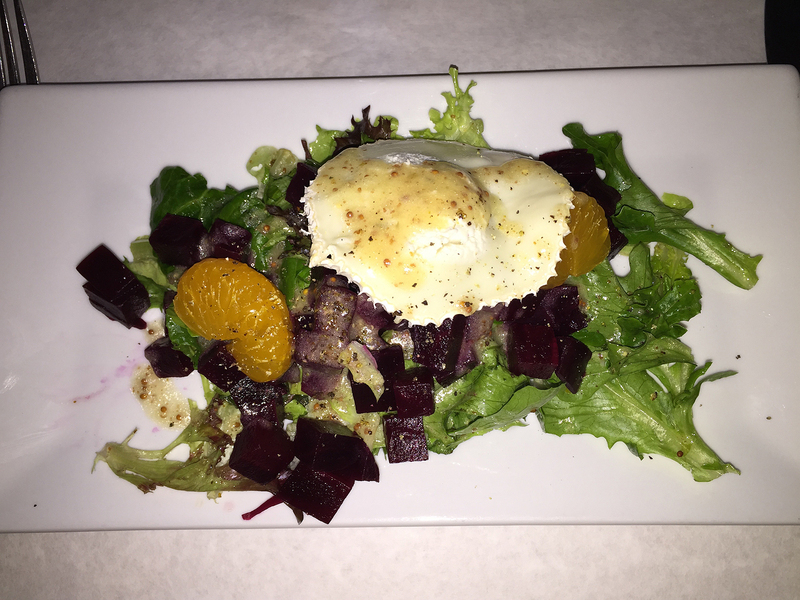 A pleasantly plated Roasted Beet salad. 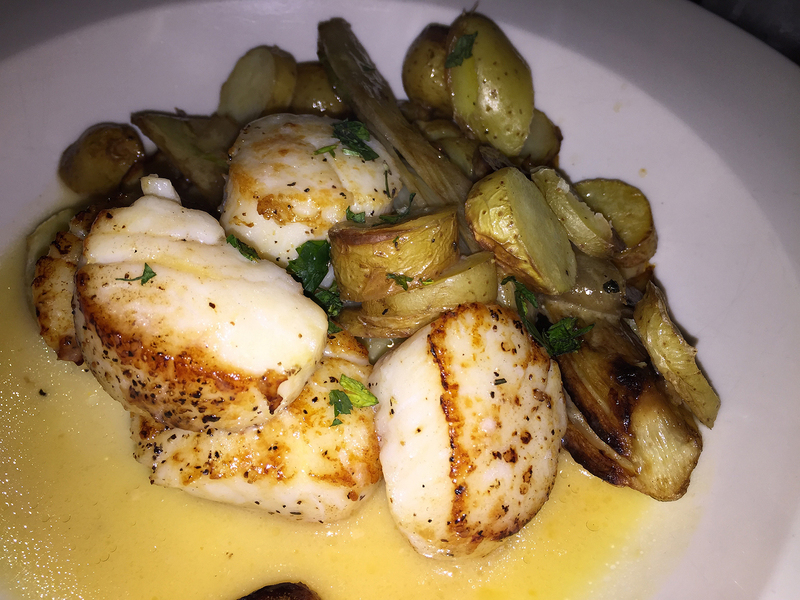 For entrees, all three of us zeroed in on the Sea Scallops L’orange, seared dry sea scallops with orange beurre blanc butter, caramelized fennel, and roasted potatoes. 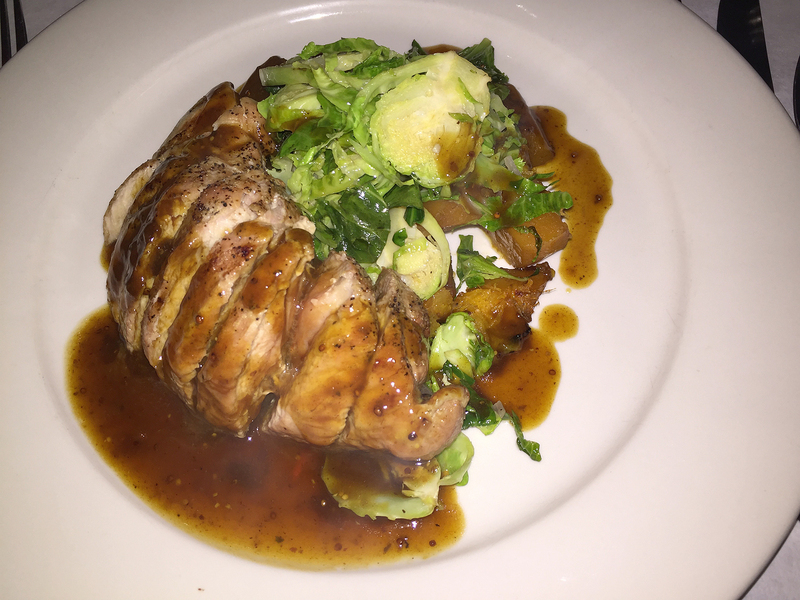 But to change things up, Russ decided instead on the Porc aux Légume d’automne, sliced pork sirloin with sherry mustard jus served with roasted squash and brussels sprouts. The dinners were just as fabulous as we remembered others to be in the past! Sliced Pork Sirloin with sherry mustard jus. 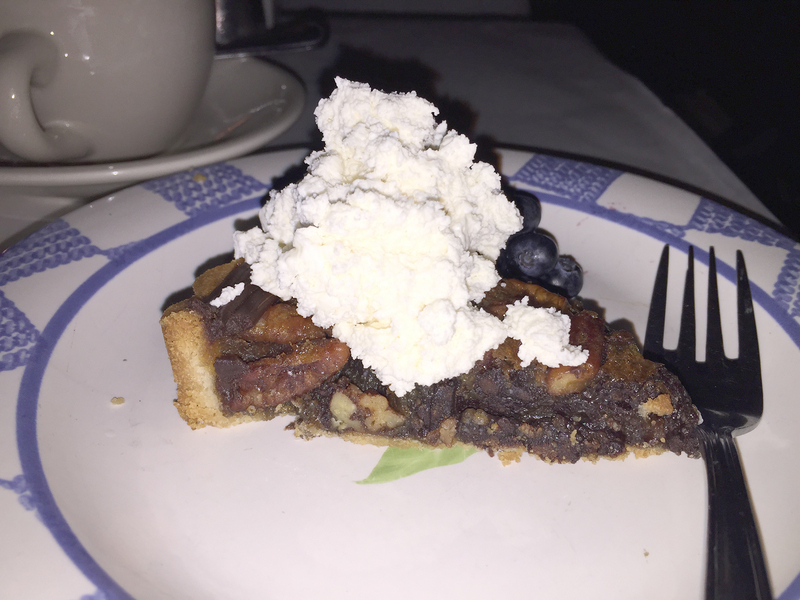 When it came to dessert, something I rarely—if ever—partake of, Russ was too full but Julia still seemed to find room to enjoy a slice of their pecan-chocolate pie with whipped cream and fresh blueberries. And she finished every last bite! Julia’s little slice of heaven, pecan-chocolate pie. Russ with daughter “Juwa” in for a visit from California. It would be just a matter of days before Julia flew back to the West Coast, so we sadly said our goodbyes for now—although not for good to Spring Mill Café.